Lambda Alpha International (LAI) is an honorary, networked international association for distinguished professionals in all fields related to the use and development of land. 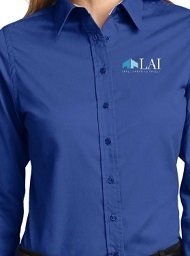 LAI is committed to promoting best practices and making a difference in our communities. The 2,200-plus members of LAI make valuable connections locally and with peers worldwide. LAI has a growing network of 26 Chapters in North America, Europe, and Asia that offer a variety of programs with top speakers, relevant forums, and events where members engage in discussion and debate about land use, economic, and business issues that matter on a local level. The Phoenix Chapter was formed in 1983 and its members – from business, academia and government – represent a wide range of professions dealing with some aspect of land economics.